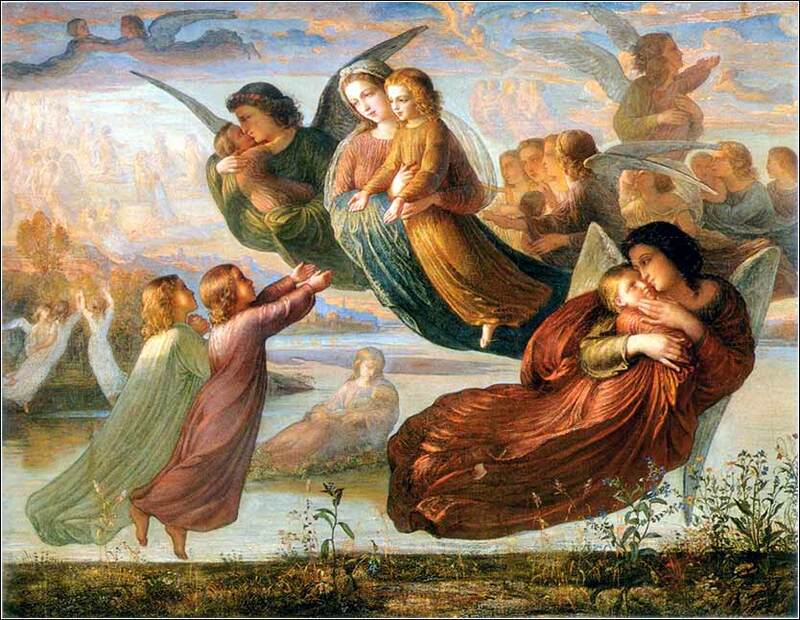 Remembrance of Heaven by Louis Janmot, ca. 1854. A rare instance of Preraphaelite influence in French art. This ethereal Ave Maria is from the opera Otello, by Verdi. Sung by the great Renee Fleming. The words “pray for us in the hour of our death” (Nell'ora della morte) are terribly poignant, as she is about to be murdered by Othello for adultery, even though she is innocent. “You are very wide of the mark,” replied Jesus to them, “for you are ignorant of both the scriptures and the power of God. For in the resurrection there is no such thing as marrying or being given in marriage — men live like the angels in Heaven. And as for the matter of the resurrection of the dead, haven’t you ever read what was once said to you by God himself, ‘I am the God of Abraham, the God of Isaac and the God of Jacob’? God is not God of the dead but of living men!” When the crowds heard this they were astounded at his teaching. This passage, unfortunately, makes little sense without understanding some background material. The Pharisees believed in resurrection of the body. They thought that good Jews would rise again exactly as they died. If you had a wart on your nose when you died, it would be there when you arose. Scribes had long discussions on matters such as whether or not you would be wearing the same clothes. Because they believed that the resurrection would occur in the Holy Land, they developed a theory that there were great tunnels under the earth, and that Jews who died in say, Egypt, would roll through the tunnels until they came to rest under Palestine. So — the Sadducees' question was not as foolish as it sounded; it exposed a gaping hole in the Pharisees' beliefs. The mistake was assuming Jesus shared the Pharisees' beliefs. As to the second issue, whether resurrection will occur at all, the Sadducees did not recognize any Scripture except the Pentateuch. So the Pharisees had spent centuries trying to convince them of the resurrection through the most inane citations to the Pentateuch one could image. They were legalists and as apt to argue tiny points to the point of infinity, much like Medieval Christian theologians arguing about how many angels could dance on the head of a pin. These patriarchsNote: It is entirely possible, under Christian theology, that Abraham has already ascended to heaven. See Romans 4; Luke 16:19-31. were long dead at the time God spoke to Moses. So, Jesus tells them, God would not say that he “is” the God of a dead man. If people simple ceased to exist at death, God would have used different words. His brilliant argument falls flat to our ears for this reason: The Hebrew — an ancient language even in Jesus' day — cannot be translated into English accurately. We use tenses and prepositions with different nuances and understanding. We simply have to trust that Jesus understood the language and that, if God wanted to indicate that He had been the God of someone who was dead, He would have used a different verb tense and/or preposition. 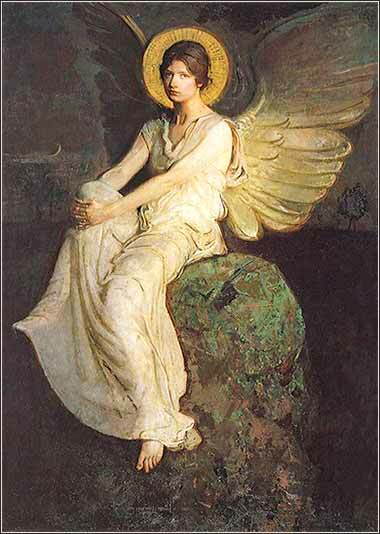 Angel by Abbott Handerson Thayer, ca. 1886. One of his best! The model would appear to be his elder daughter, Mary.